GRE Stands for Graduate Record Examination whicg is standardized test for admissions into graduate schools across the globe as part of the selection criteria to supplement undergraduate records, recommendation letters and other qualification for graduate study. Contrary to the popular notion that GRE® Test is only for MS in US, GRE® Test scores are used for admissions for all master – level and doctoral – level course across all disciplines (Science, Engineering, Arts, Humanities etc) and across the globe. There are two types of GRE® Tests; The General Test and The subject Test. The GRE® General Tests: This is a computer – based test that focuses on the types of skills that have been identified as critical for success in graduate and business school, such as Verbal Reasoning, Quantitative Reasoning, and Analytical Writing skills that are not limited to a specific field of study, but critical to all of them. The GRE® Subject Tests: The GRE Subject Tests gauge undergraduate achievement in specific fields of study and can help predict a candidate’s success in graduate school. The tests assess knowledge of subject matter emphasized in many undergraduate programmes as preparation for graduate study. Biochemistry, Cell and Molecular Biology. The total testing time for the revised GRE® test is around 3 hours and 45 minutes. There are five sections with a 10 minutes break following the third section. Analytical Writing (one section with two separately timed tasks). One “Analyze an issue” task and one “Analyze an Argument” task. 30 minutes per task. Verbal Reasoning (two Sections). 20 questions per section. 35 minutes per section. Quantitative Reasoning (two sections). 20 questions per section. 35 minutes per section. This is a paper – based test that has the following test subjects; Biochemistry, Cell and Molecular Biology Test. This test consists of 170 multiple – choice questions, which are based on descriptions of laboratory situations, diagrams or experimental results. The content of the test is organized into three major areas; Biochemistry, Cell Biology, Molecular Biology and Genetics. Biology: this test consists of 194 five choice questions. The content of the test is organized into three sub score areas; Cellular and Molecular Biology, Organismal Biology and Ecology and Evolution. Chemistry: the test consists of 130 multiple – choice questions. The content of the test emphasizes he four fields into which chemistry traditionally has been divided; Analytical, Inorganic, Organic and Physical Chemistry. Literature in English: This test consists of 230 questions on poetry, drama, biography, the essay, the short story, the novel, criticism, literary theory and the history of the Language. Some questions are based on short works reprinted in their entirety, others on excerpts from longer works. Mathematics: The test consists of approximately 66 multiple – choice questions draw from Calculus, Algebra and additional topics. Physics: The test consists of 100 multiple choice questions covering classical mechanics, Electromagnetism, Wave Phenomena, Optics and Statistical Mechanics, Atomic Physics etc. Psychology: The test consists of approximately 205 multiple – choice questions which each section has five options which the candidate has to select the one option that is correct or best answer to the question. A Verbal scaled score (on a scale from 130 to 170, in one – point increments). A quantitative scaled score (on a scale from 130 to 170, in one – point increments). An Analytical Writing score (on a scale from 0 to 6, in half – point increments). 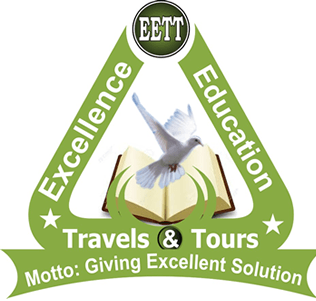 Excellence Education Travels and tours is a specialist GRE preparation organization in Lagos, Nigeria. Our tutoring services enable you to work one-on-one with a test master GRE instructor. Our instructors have exceptional credentials and know how to diagnose and solve problems students encounter. Visit our GRE Training centre in Nigeria and meet with our test master instructor at a time and place convenient for you. Your instructor will teach you how to improve your accuracy and speed on the GRE, and will help you create a study plan to maximize your results. 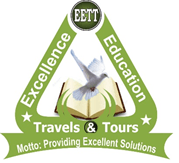 We have been known as the best GRE Training centre in Nigeria. HOW CAN I REGISTER FOR GRE IN NIGERIA? You can take the GRE revised General Test once every 21 days, up to five times within any continuous rolling 12-months period. Our GRE teachers provide the best available guidance in GRE coaching. 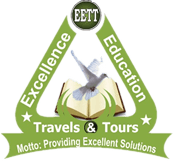 To get the best graduate schools in the US and other foreign countries, our GRE training courses are preferred by thousands of students for GRE test preparation in Nigeria because of its high acknowledge GRE preparation material and highly qualified and certified trainers. Visit our Office today and meet with our GRE experts and get the best score. To register for GRE test please call us on 0818 000 3159 or visit our office; Stro House, 4 Oba Ogunji Road, Opposite Gtb E-Banking Pen Cinema, Agege, Lagos State. The GRE test can be written through Monday-Sunday of each week. There are plenty of online sites which claim that they provide relevant GRE material. However, you need to be selective. A high score on the GRE can be achieved by a right combination of reliable materials and guidance from experts. Inappropriate will do more harm than good to your GRE preparation. We have latest study materials from authors like ETS, Kaplan, College Board, Barron’s Wiley, and Princeton etc. Get latest study materials shipped to your address anywhere in Nigeria. And we assure you of fast delivery. Applicant Details form e.g. Name, Address, City, State, Phone, and E-mail. GRE computer based test can only be taken in three locations in Nigeria, namely; Abuja, Lagos and Port Harcourt.